Shyam Hurchund holds a Trainer's license since 2016. He is not well known here in Mauritius, as he has spent most of his career in South Africa, where he was studying engineering and which also led him to work in Horse-Racing. An owner of horses, he then studied the workings of horse training. 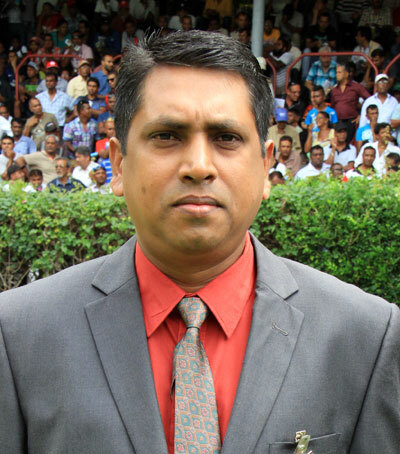 Following this, he became assistant-trainer to Tony Rivalland - who is also of Mauritian origin - in 2008. As 2016 was his first season as a fully fledged trainer, Shyam Hurchund considered it as a year of adaptation, rather than a year with high expectations. After tricky campaigns in 2017 and 2018, this young trainer will be hoping for better things in 2019.